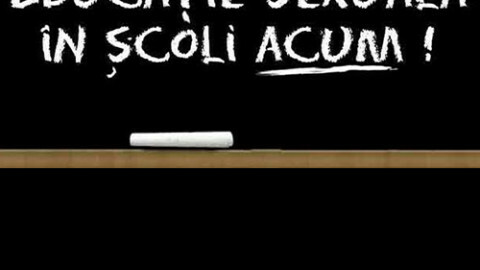 In seara zilei de 20 februarie a.c., orele 18:00, o manifestare culturala organizata cu sprijinul Ambasadei SUA la Bucuresti la Muzeul Taranului Roman in cadrul Lunii Istoriei LGBT (lesbiene, gay, bisexuali si transgender) a fost violent intrerupta prin interventia unui grup de extrema dreapta care a ocupat sala Noului Cinematograf al Regizorului Roman. Filmul care urma sa fie proiectat seara trecuta, “The Kids Are All Right”, este o portretizare cinematografica a unei familii gay din Statele Unite; filmul a fost laureat cu doua Globuri de Aur si a primit patru nominalizari la Oscar. Desi directorul MTR, Virgil Nitulescu, a solicitat telefonic prezenta fortelor de ordine printr-un apel la 112, cu toate ca asociatia Accept a semnalat verbal si in scris, anterior evenimentului, necesitatea protejarii participantilor la aceasta manifestare culturala, reprezentantii politiei si jandarmeriei sositi la fata locului nu au intervenit pentru a pune capat manifestarilor de intimidare si a incitarilor la ura impotriva persoanelor LGBT. “Aceasta non-interventie, sub pretextul neutralitatii, a devenit in ultimii doi ani manifestarea uzuala de conduita a celor care se presupun a cunoaste si aplica legea in Romania. Mai mult, politia, jandameria si procuratura nu iau masurile pentru identificarea, urmarirea si tragerea la raspundere penala a agresorilor si a organizatiilor care ii sustin. Astfel de incidente violente nu sint singulare, iar reactia autoritatilor competente este ineficace si neprofesionista.” a declarat avocata Iustina Ionescu. 3. Jandarmeriei Romane: investigarea non-raspunsului jandarmilor prezenti la fata locului, sanctionarea lor disciplinara, precum si identificarea persoanelor care au tulburat ordinea si linistea publica si sanctionarea corespunzatoare a acestora. ActiveWatch – Agentia de Monitorizare a PreseiAt 6 pm on 20th February 2013, a cultural event organised with the support of the US Embassy in Bucharest at the Museum of the Romanian Peasant (MRP) as part of the LGBT (lesbian, gay, bisexual and transgender) History Month was violently interrupted by a group of far-right militants who burst into the New Romanian Director cinema and occupied it. That afternoon The Kids Are All Right was supposed to be on, a film about the life of a gay family from the USA, which was awarded two Golden Globes and received four Academy Awards nominations. The 50-odd extreme right militants stopped the show a few minutes after it had started, repeatedly filmed, photographed and verbally aggressed the film-goers who were already inside the cinema, calling them „beasts” and „scum,” and chanted „Death to the homosexuals,” „We don’t want you here” and „You are not Romanians,” turning their freedom to express disagreement with a legally organised event into an incitement to hatred and discrimination on sexual orientation grounds. To justify their act of hooliganism, the militants sang the Romanian national anthem and Orthodox chants, and used religious symbols (icons) as well as fascist ones (the Nazi salute). The Deputy Director of the Museum, Mr Mihai Gheorghiu, attended the event but, despite his professional responsibilities, failed to make a stand against the militants or take the appropriate measures so that the cultural event can continue orderly and uninterruptedly. Even though Museum Director Virgil Nitulescu made an emergency call on 112 asking for police intervention, and even though ACCEPT Association had signalled, prior to the event, verbally and in writing, the need for police protection at that evening’s show, the police and gendarmerie workers who arrived at the cinema following the 112 call did not intervene to put an end to the far-right militants’ bullying and incitement to hatred against LGBTs. „Under the guise of neutrality, in the past two years this type of non-intervention has become common response on the part of those supposed to know and enforce laws in Romania. Moreover, the Police, the Gendarmerie and the Prosecutor General fail to take measures for identifying, pursuing and apply penal sanctions to aggressors and the organisations which support them. Such violent incidents are by no means singular, and the response of the authorites is both ineffective and unprofessional,” maintains lawyer Iustina Ionescu. 3. The Romanian Gendarmerie to investigate the non-intervention of the gendarmerie workers deployed to site, to apply the corresponding disciplinary sanctions, and to identify the perpetrators who disrupted public order and sanction them accordingly. Conferinta de presa "Angajati ai statului in cardasie cu extremistii"Protesteaza, legea e de partea ta!